4.99 what does that mean? #25 Story Book on Scribl! From the Creators of the award-winning steampunk Ministry of Peculiar Occurrences series ( Phoenix Rising and the Janus Affair) comes a collection of new adventures from around the world. The Ministry of Peculiar Occurrences investigates the bizarre and unusual, and protects the citizens of the Empire from forces of darkness. Every agent knows that thrusting themselves into danger is part of the job, and may demand of them the ultimate sacrifice. They call on their own inner strength, wits, intellect, and innovations of science and technology. But is it enough to face the unknown and the unexplainable? Travel to the farthest corners of Queen Victoria’s mighty empire and back again to the shores of Old Blighty, unlocking the mysteries of legend, lore, and shadowy societies. Welcome to a world of steam, secrets, machinations and madness. 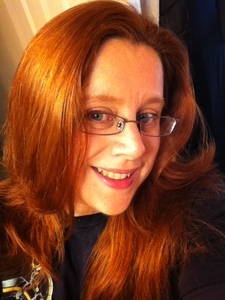 New Zealand born fantasy writer and podcaster Philippa (Pip) Ballantine is the author of the Books of the Order and the Shifted World series. 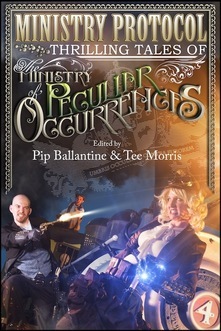 She is also the co-author with her husband Tee Morris of the Ministry of Peculiar Occurrences novels. Her awards include an Airship, a Parsec, the Steampunk Chronicle Reader’s Choice, and a Sir Julius Vogel. She currently resides in Manassas, Virginia with her husband, daughter, and a furry clowder of cats. Communicating with PayPal, please wait.